Welcome to Admission Matters, Fourth Edition! Thank you for visiting our website! The site features a lot of useful information for students planning to apply to college and their families. Be sure to check the Resources section for the up-to-date lists of schools that offer Early Action, those that require SAT Subject Tests, and other important topics. Addiitonal lists will be added soon! 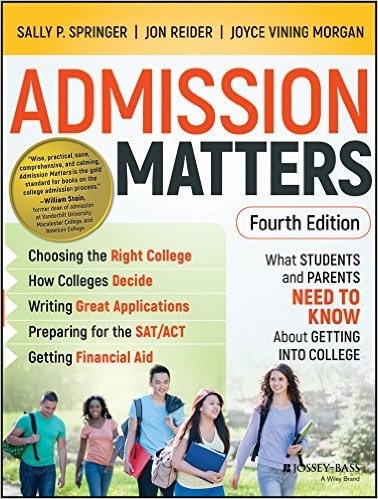 The fourth edition of Admission Matters is a comprehensive, up-to-date, insightful, and thoroughly readable book on the current scene in college admissions. Written by three education professionals who have devoted their careers to working with high school and college students in the roles of counselor, admissions officer, teacher, and administrator, it provides first-rate advice on all the nuts and bolts of college admissions, from developing a balanced college list, taking standardized tests, writing effective essays, to applying for financial aid. It includes thoroughly updated information on all aspects of the college admissions process, including special sections on athletics, the arts, learning disabilities, homeschooling, and transferring, as well as a a chapter for international students. The book can easily stand alone as the best current how-to manual available. The book provides links to numerous websites and tools and an excellent resources section for further reading. Several dozen professionals on both sides of college admissions -- high school counselors, educational consultants, and admissions deans -- have endorsed Admission Matters as the one book families need to read to guide them through the process. 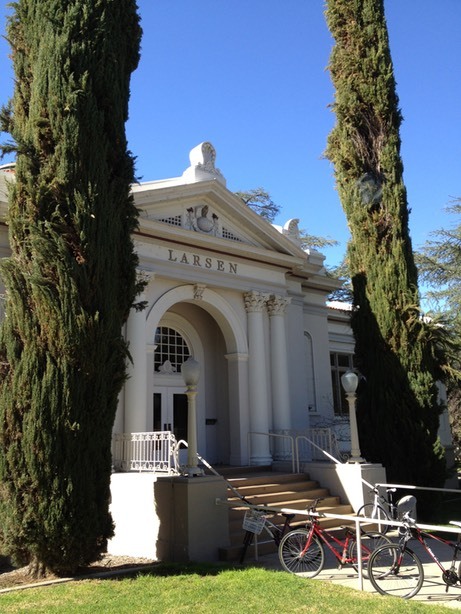 Teachers of graduate courses in college counseling at several leading universities even make it required reading in their classes. Welcome! Please explore and let us know your thoughts!